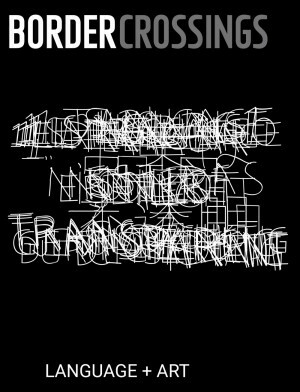 Border Crossings looks at contemporary art with interest, passion and thoroughness. 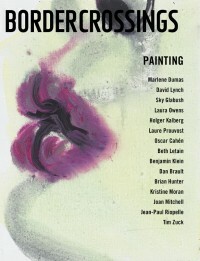 The magazine covers painting, photography, film and video. 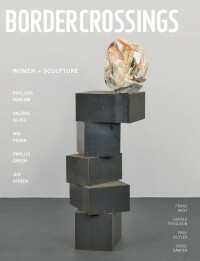 We report on directions in dance, architecture, music, theatre and popular culture. We publish essays, fiction and poetry. Every issue features artist’s pages and these, and everything else between our covers is previously unpublished. You’ll see it here first. New Automatic Renewal! 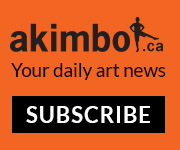 One year individual and institutional subscriptions are now automatically renewed each year. You will be sent a reminder that your subscription is about to renew (on the credit card provided) one month prior to the start of every term. 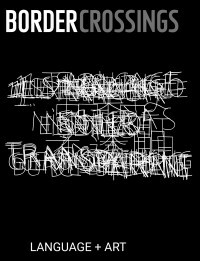 You can opt out at any time by contacting us by phone at 1-866-825-7165, or by email at info@bordercrossingsmag.com. 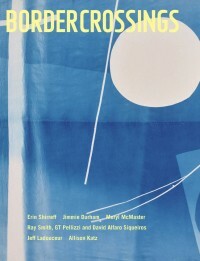 Please allow 6–8 weeks for your first issue. Your subscription will begin with the next issue unless by special request (additional costs will apply). Where will this subscription be sent? How many years is this subscription for?